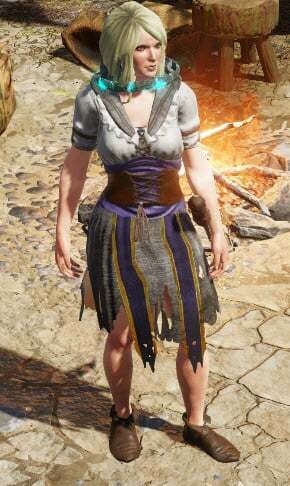 Nebora is a NPC in Divinity: Original Sin 2. If you become the champion of the arena, you can convince her to take your collar off (only the main character). Be careful though. If a magister sees you, they will put you in a prison cell (which you can have a member your party pick the lock to free you or you can teleport to a waypoint). You can use her (Or any vendor) as an invenstment during your stay at Fort Joy. --- Simply sell the items you have until she uses up all her gold. After that give her back one gold for free. When you give an NPC something they didn&apos;t have before, it stays in their inventory. --- Essentially every time she restocks, instead of resetting her gold, the gold gets added to the gold piece you gave to her before. --- Once you&apos;re ready to move on to the next act, go back and steal the gold off her or kill her for looting the gold back. --- Good luck to all you penny pinchers out there! Game on console is buggy af. Not even worth buying. Lazy, lazy, lazy. The collar quest is bugged. When talked to it says that she is working on a glove looking contraption with knives on it. Is this a possible Nightmare on Elm Street refrence?